Soapbox: a platform used to make an impromptu or informal public speech. Why question the suggested vaccination timeline? Let me preface this section by saying: I’m not a conspiracy theorist. I don’t think the MMR vaccine leads directly to autism, and I have great respect for the science and medical fields. I AM, however, a label reader, a researcher (not professionally), and a person that likes to understand processes — especially when it involves my children consuming something. I try to live a life of intention. I seek to be purposeful and mindful. Naturally, if I’m going to read the labels on the cereal box or learn what they’re spraying on my fruit, I’m going to research what’s about to be injected into my kid, including any consequences. Neurologic disorders, including infantile spasms, uncontrolled epilepsy, and progressive encephalopathy. This is what got my attention. This came directly from the manufacturer, not from a blogger or pseudo-scientist or Jenny McCarthy. Straight from the manufacturer. Vaccine related injuries are a real thing, yet people act like they don’t exist. And while the statistical probability of one of these extreme reactions is something like 1 in every 250,000 people, they do still happen. It seems that vaccinations are safe … for most people. What happens when a child becomes that 1 out of hundreds of thousands of people? Devastation. The film The Greater Good follows three families that are those statistical anomalies, highlighting that vaccine injuries exist, and today I read another story about a child that received permanent brain damage following the receipt of the MMRV vaccine. 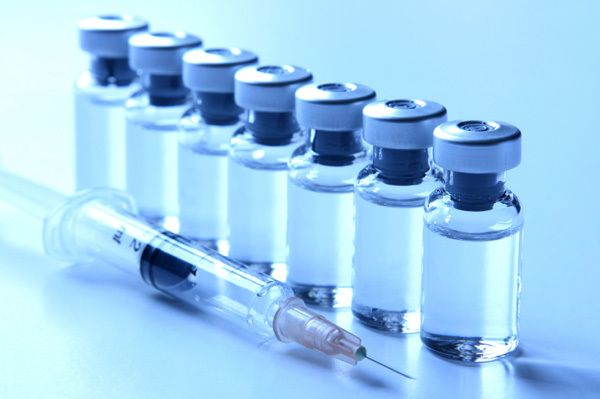 Why do most people process and respond positively to vaccines while others don’t? I don’t know; and it seems that the medical and science communities also don’t know. That isn’t to say that scientists and immunologists aren’t doing their do diligence to find out — more testing and research needs to be done and is being done. It is for this exact reason that I am against mandatory implementation of vaccines. Parents need to be aware of all the risks, making an informed decision. So, why did I delay them? Admittedly, after reading the ingredients list and potential side effects, I was overwhelmed. I wanted more time to process the pros and cons of vaccinations, resulting in two simple reasons to postpone them. The largest reason I delayed vaccinations is because my daughter was extremely low risk for contracting and/or spreading any of the illnesses that vaccinations cover in the first year. She was not in a day home/daycare, attending school, or participating in any clubs. Further to that, she spent 90% of her time at home with either her father, her nanny or I, all of whom are fully vaccinated. “But Brandi,” you may be thinking, “breast milk hasn’t been empirically proven to provide immunity against the measles or polio or diphtheria or…” You may be correct, but it has been proven to help fight against diseases and infections. While it may not be able to completely prevent an unvaccinated child from contracting the measles, for example, it will sure as heck help get rid of the illness! And, as per the aforementioned point about being low risk, I was wiling to take the calculated risk that my daughter wouldn’t get sick. And she didn’t. By delaying my daughter’s vaccines, we reduced the number of needles by four. FOUR less injections because, according to the two nurses that administered the vaccines, she had built up enough immunity against the Pneumococcal (PCV13) and Meningococcal (Men C) illnesses on her own that she didn’t require the full dosage — instead of four injections of the PCV13 vaccine, she received one; instead of two rounds of the Men C vaccine, she received one. I support science, acknowledging that research is a process. In the same way that Canada replaced the the live oral polio vaccine (OPV) in 1995 with the inactivated polio vaccine (IPV) “to avoid further cases of vaccine-associated paralytic poliomyelitis (VAPP),” [iii] I suspect they will replace the agent(s) discovered to cause neurological damage, etc. once they know what they are. Or, at the very least, they’ll discover the genetic link (if there is one) responsible for anaphylaxis and/or other severe reactions to vaccines, taking the necessary precautions for any individuals susceptible. I wrote this lengthy piece because I am tired of reading that non-vaxxers or those that delay vaccines are “misinformed” or are “stupid” or are “crackpots.” I’m tired of the discussion resembling a disagreement between junior high kids. Chances are, most of us — pro and anti vaxxers — are concerned parents trying to make the best decisions for our kids. No one is trying to make someone else’s kid sick. No one is trying to prevent families from going on a holiday to Disneyland. For me, I took a realistic look at the risks my child posed to herself and everyone else, and then made a decision. In the end, the decision I made to vaccinate was for you, the herd. As much as I don’t want want my daughter to contract a terrible illness, I REALLY don’t want her to be the source/cause of someone else getting it — especially someone in an vulnerable situation (i.e. cancer patient, infant…). Disclaimer: If you wish to comment, please do so in a respectful manner. Anything rude, such as name-calling, will not be approved for posting.